CREATING OVERPRESSURE IS THE BEST WAY TO PRESERVE SPARKLING WINE. zzysh® Champagne is the No.1 sparkling wine preserver* around the world. It pressurizes the opened bottle with a mixture of 100% food-grade argon/CO2 gas to preserve the natural taste and fizz. Again and again. tick-ch-1 Your opened bottle gets pressurized with a mixture of 100% food-grade argon/CO2 gas. Argon is the 3rd most abundant gas in the earth’s atmosphere and creates no reaction with sparkling wine. Each zzysh® Champagne cartridge preserves up to 4 bottles. tick-ch-2 Pressurized by this argon/CO2 gas atmosphere as well as shielded by the innovative zzysh® Champagne stopper, the sparkling wine is perfectly protected from oxidation and loss of fizz. The stopper works with a wide variety of sparkling wine bottles. 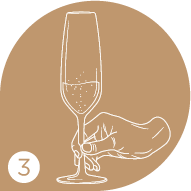 3 STEPS TO PRESERVE THE FIZZ. Just a few seconds to preserve the fizzy sensation. Seal the opened bottles with the innovative zzysh® Champagne Stopper after pouring your desired amount of sparkling wine. No worries, it fits on all types of wine bottles. Let it zzysh®! Connect the handpiece with the stopper and press it down for 3-5 seconds. After zzysh'ing, just remove the handpiece from the stopper and store your preserved bottle. Savor your sparkling wine by the glass and enjoy the rest of the bottle whenever you want. Again and again. zzysh® relies on the tried-and-true methods of industrial wine and food preserving technologies, which have been used worldwide by winemakers and the food industry for years. 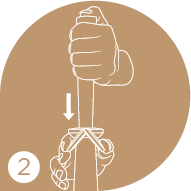 ZZYSH® — A GAME CHANGER FOR PRESERVING SPARKLING WINE.Compared to silver spoons or classical stoppers that only close the bottle, the zzysh® technology creates overpreassure and a perfect protection from oxidation. zzysh® is designed to apply to all kinds of sparkling wine. It meets wine experts’ expectations all over the world and is designed to be used in private households or gastronomy. Enjoy the glass. Save what’s left. Keep your wine fresh with zzysh®, the No.1 argon wine preserver worldwide. No more waste. A lot more taste. Keep your wine fresh with zzysh®, the No.1 sparkling wine preserver worldwide.